...a green couch in my future. I hope everyone has a great weekend! Mine will be spent entertaining both my and my fiances family as we watch him officially graduate with his MBA. Congrats baby, I am so proud of you!! 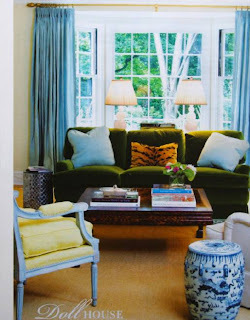 (photos from, Palmer Weiss, Unknown, Domino, flickr, Martha Stewart Living Furniture via Pure Style Home, via via my marrakesh, and Lauren's home from Pure Style Home. #4 and #6 are my faves... must be liking green sofa's with colorful rugs! I have a green sofa and love it! It has held up so nicely and I love your greens! I see green in your future!! Oh me too! Especially now that I live in North Carolina and there is green EVERYWHERE. The first photo is one of my faves! love these! 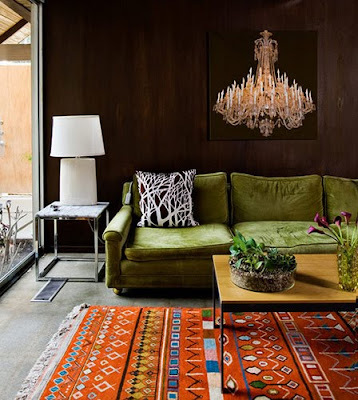 i am normally scared of colored couches but yes please to these! oooh how cool, congratulations!! A MBA, yay!! Enjoy!! 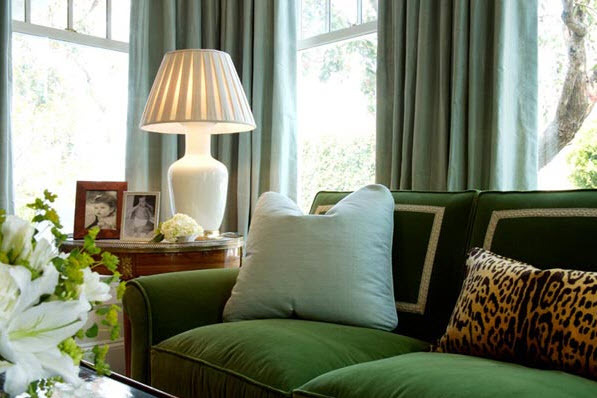 And yes, loooove the green sofas, especially the tuffed one! I would LOVE to say I owned that first beauty. Sigh. I am loving green right now! Giveaway of jewelry by Beth Cosner Designs is up on my site. Oh, how I love green. The first picture is my favorite. i love a green couch, esp. in velvet. 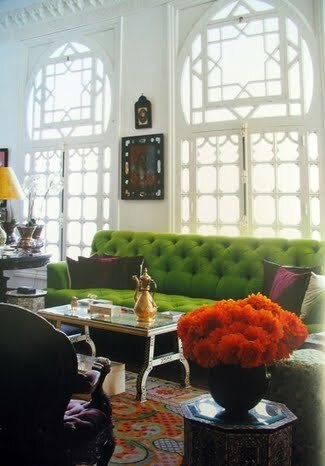 i love that bright tufted number. sold. 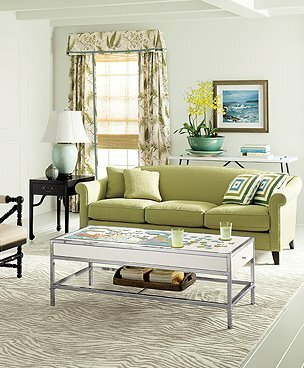 i am debating on what i am going to reupholster my sofa in. part of me wants to do something bold and graphic but am afraid of dating it...and the other wants a soft velvet. i was leaning toward a shimmering charcoal...but these greens are speaking to me.. Okay you sold me I'm getting a green couch!!!! Love the green velvet ones the best! There's something about a deep rich velvet that just makes me melt! great images. now I am wanting a green couch! oh my gosh, LOVE these! the perfect gender neutral option. you've got me inspired :) have a great week! The bold tufted one is my favorite, hands down! Congrats to your man! Very exciting. 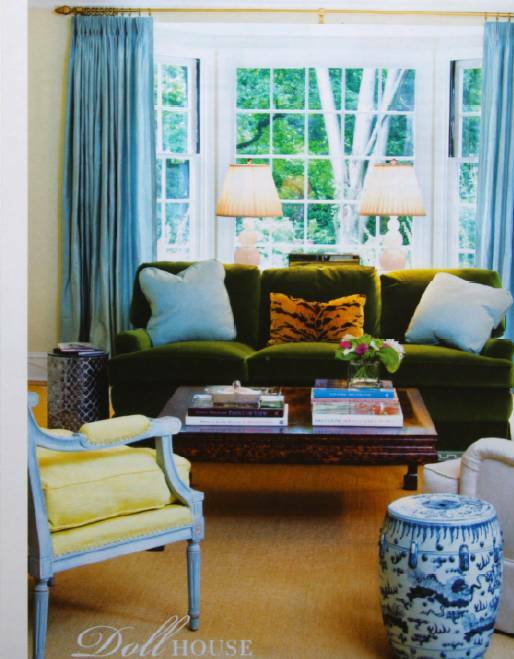 Love the Palmer Weiss sofa in pic #1. Lauren's Lee Industries in the last pic is great too. I love Lauren's too! I can't get over how gorgeous it is. I adore Lauren's sofa. It's gorgeous. i just bought some green accent pillows for my sofa...i figure it's the next best thing to reupholstering an entire piece! i especially love the bright greens. 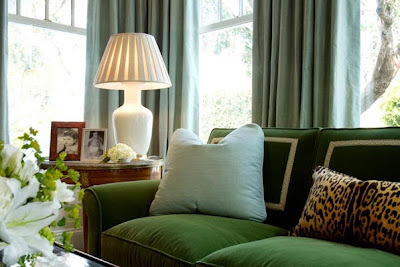 As I was reading this, I was thinking, I need to tell her about Lauren @ Pure Style Home's apple green velvet one and... voila! I would love to park myself with wine, a good friend or a book on any of these!